This new model has a high-performance real-time spectrum scope and employs a new RF direct sampling system. The IC-7300’s real-time spectrum scope provides top-level performance in resolution, sweep speed and dynamic range. While listening to received audio, the operator can check the real-time spectrum scope and quickly move to the intended signal. The combination of the real-time spectrum scope and waterfall function improves the quality and efficiency of HF operation. Icom finally published the official release date. Is it meanwhile possible to read somewhere the technical specifications in more depth ( for example the exact RX frequency range, sensitivity, selectivity, TX WARC bands, I-Q output etc. )of the IC-7300? 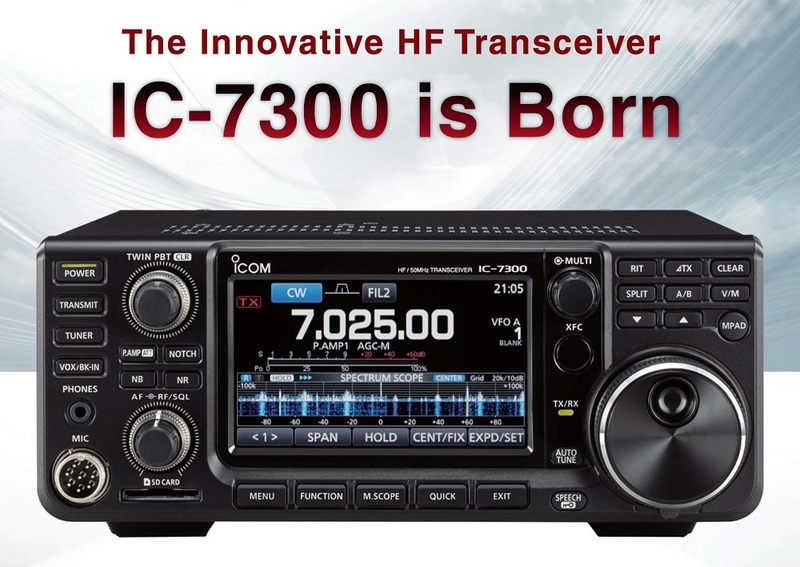 I need this to make my decision which transceiver I may purchase. Download the Icom-7100 manual all that data except that pertaining to above HF band applies to the Icom-7300. The USB port has a choice of either AF or IF Audio output to computer which will allow other hdrsdr software abilities.